Nutrient-rich ash from an enormous flare-up of volcanic eruptions toward the end of the dinosaurs’ reign kicked off a chain of events that led to the formation of shale gas and oil fields from Texas to Montana. That’s the conclusion of a new study by Rice University geologists that appears this week in Nature Publishing’s online journal Scientific Reports. 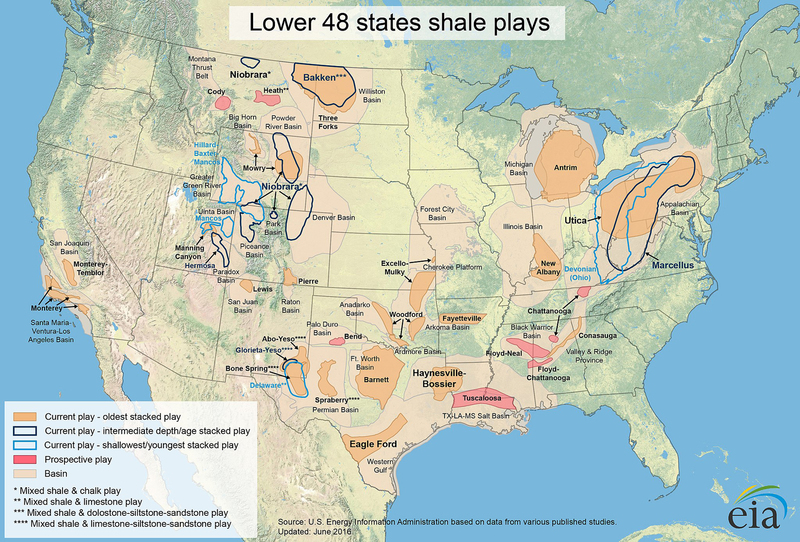 Advances in horizontal drilling and hydraulic fracturing over the past 20 years led to a U.S. energy boom in “unconventionals,” a category that includes the shale gas and “tight” oil found in shale fields like the Cretaceous Eagle Ford and Mowry and older ones like the Barnett and Bakken. Lee said that there have always been hints of a connection between ancient volcanic eruptions and unconventional shale hydrocarbons. 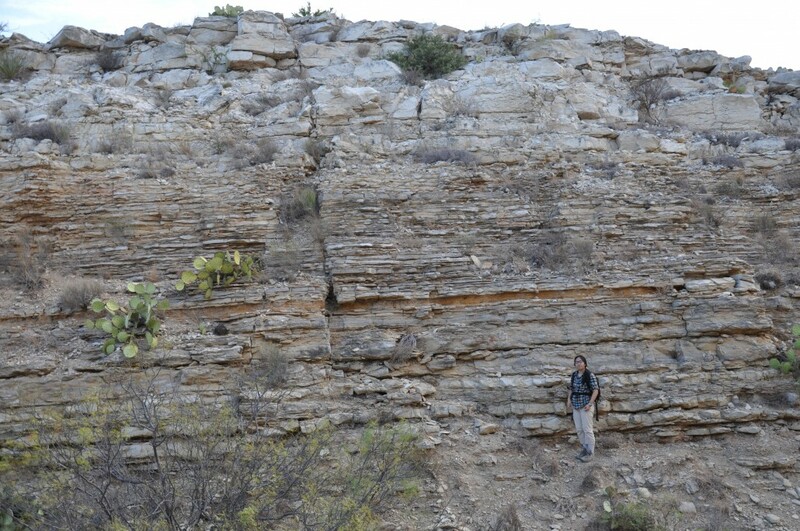 During field trips out to West Texas, he and Rice students noticed hundreds of ash layers in exposed rock that dated to the Cretaceous period when much of western North America lay beneath a shallow ocean. One of these trips happened in 2014 while Lee and Rice colleagues also were studying how a flare-up of Cretaceous-era arc volcanoesalong the U.S. Pacific rim had impacted Earth’s climate through enhanced volcanic production of carbon dioxide. “We had seen ash layers before, but at this site we could see there were a lot of them, and that got us thinking,” Lee said. Lee, graduate student Hehe Jiang and Rice undergraduates Elli Ronay, Jackson Stiles and Matthew Neal decided to investigate the ash beds in collaboration with Daniel Minisini, a colleague at Shell Oil who had been doing extensive work on quantifying the exact number of ash beds. Lee said the team determined that ash had come from hundreds of eruptions that spanned some 10 million years. The layers had been transported several hundred miles east of their volcanic source in California. The ash was deposited on the seafloor after being blown through plumes that rose miles into the atmosphere and drifted over the ocean. Lee and students analyzed samples of the ash beds in the geochemical facilities at Rice. 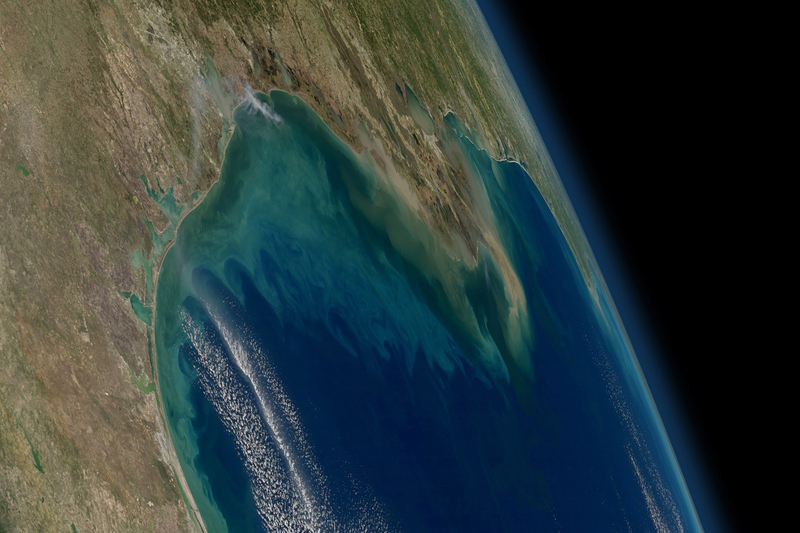 That brought to mind the oceanic “dead zones” that often form today near the mouths of rivers. Overfertilization of farms pumps large volumes of phosphorus down these rivers. When that hits the ocean, phytoplankton gobble up the nutrients and multiply so quickly they draw all the available oxygen from the water, leaving a “dead” region void of fish and other organisms. 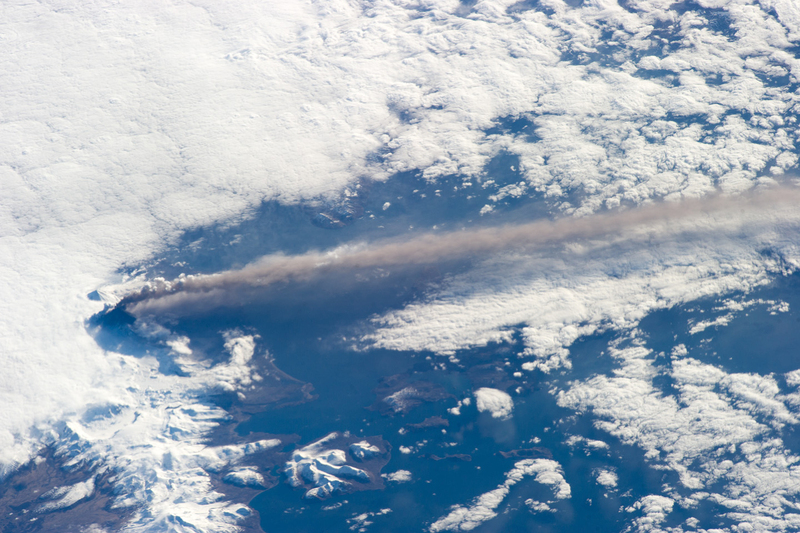 Lee suspected the Cretaceous ash plumes might have caused a similar effect. To nail down whether the ash could have supplied enough nutrients, Lee and his team used trace elements like zirconium and titanium to match ash layers to their volcanic sources. By comparing rock samples from those sources with the depleted ash, the team was able to calculate how much phosphorus, iron and silica were missing. The combination of the ashfall and oceanic dead zone concentrated enough carbon to form hydrocarbons. Lee said shale gas and tight oil deposits are not found in the ash layers but appear to be associated with them. Because the layers are so thin, they don’t show up on seismic scans that energy companies use to look for unconventionals. 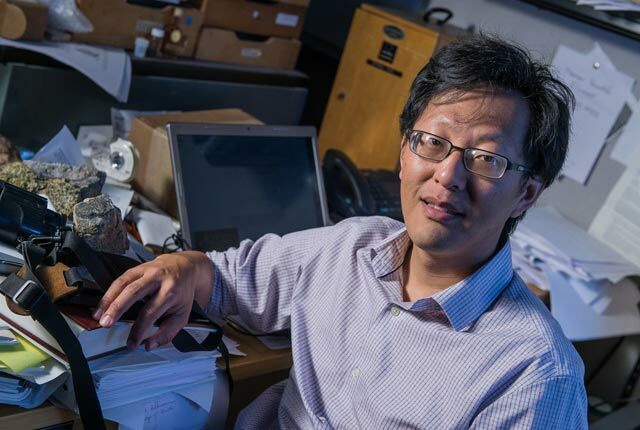 The discovery that hundreds of closely spaced ash layers could be a tell-tale sign of unconventionals might allow industry geologists to look for bulk properties of ash layers that would show up on scans, Lee said. While the published study looked specifically at the Cretaceous and North America, Lee said arc volcano flare-ups at other times and locations on Earth may also be responsible for other hydrocarbon-rich shale deposits. The research was funded by the National Science Foundation, the Guggenheim Foundation and the Geological Society of America.